I’m enjoying this book so much. I’m swedish living in the U.S and find it so important to keep the Swedish language and culture alive and to pass it on to my little 2.5 year old. boy. Are your kids learning Swedish? From Lingonberries to Falu red cottages and Vikings, this picture book will boost your little one’s Swedish vocabulary and let them explore Swedish traditions, culture and fun. 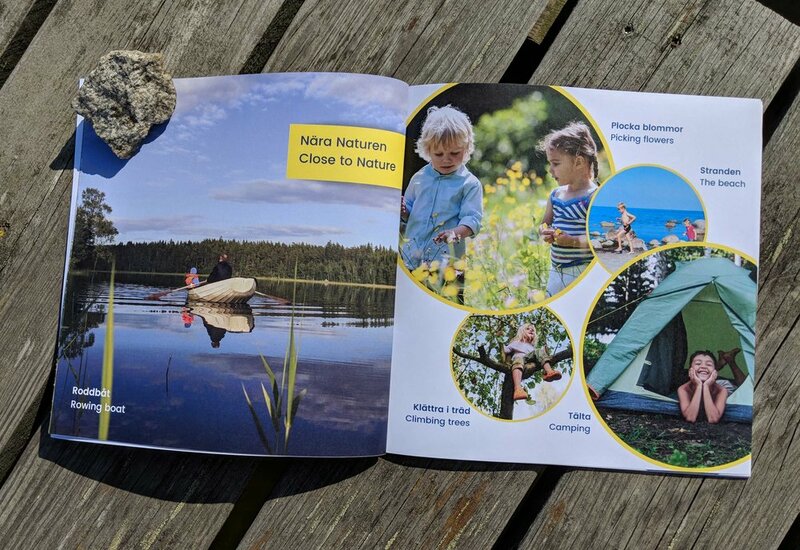 ‘My First Book About Sweden’ is a bilingual book in Swedish and English that you and your toddler will enjoy reading together. 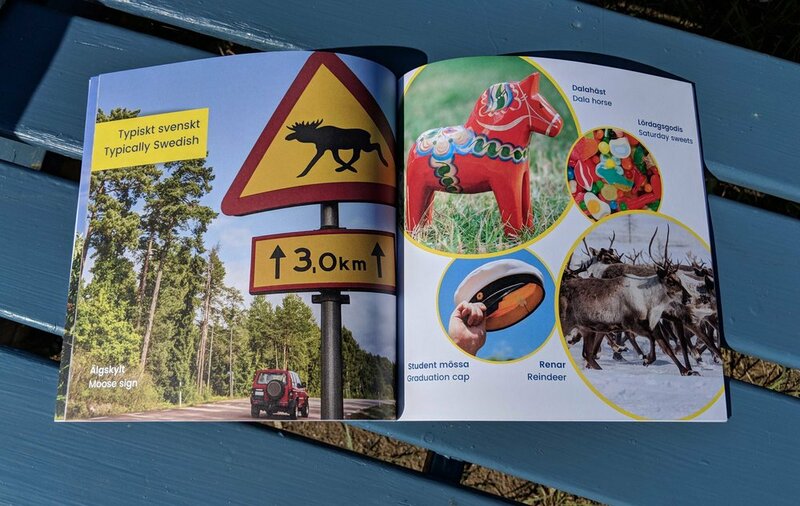 The beautiful colour images are clearly labelled in both Swedish and English inviting your toddler to point and learn both languages. From Christmas and Lucia festivities in the darkest months of the year to Midsummer parties and long summer days spent fishing and picking wild strawberries and gathering Chanterelles, this picture book will give an instant flavour of Sweden for the youngest ones, and spark fond memories for expat parents and grandparents. 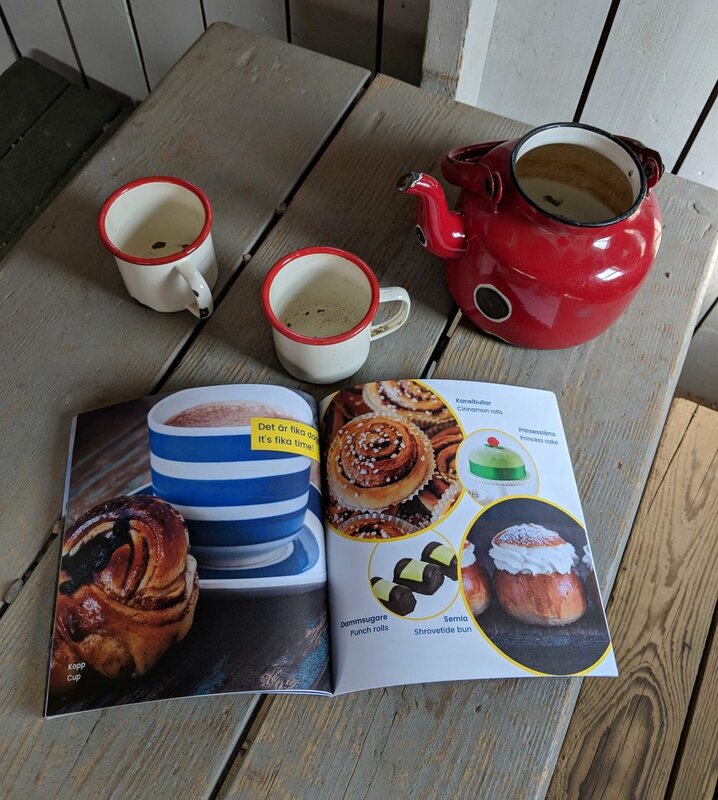 Your young adventurers will enjoy the section about Vikings and get a taste for typically Swedish words such as Fika, Lördagsgodis, and Semlor. This book is a child’s perfect introduction to the Swedish culture and their first Swedish words. Linda Liebrand, a Swedish expat and mum, living in the UK, wrote this book as a way to introduce her native language to her toddler. If you’re looking to increase your bilingual child’s Swedish and English vocabulary, and want to spark conversations about Swedish culture and traditions, then you’ll love this bilingual children’s book. Buy the book and teach your kids more Swedish words today. It's available in paperback, hardback and e-book formats from Amazon and other book stores. If you're looking for more ways to build your child's Swedish and English vocabulary, then sign up for my bilingual kids newsletter by entering your email below. I send out book news, free books, printables and other useful language and culture resources to my subscribers. Before I can send you anything, please check your inbox for an email from Swenglish Life, and confirm your subscription. Find me on Instagram! Click the pics below to enlarge the photos and read the captions.